The following comments about attractions in Ottawa have been posted from individuals. We believe that the best reviews of Ottawa, Ontario (ON), Canada are written by travellers and holiday makers who have experienced Ottawa first hand and want to share their thoughts. Can you share yours? 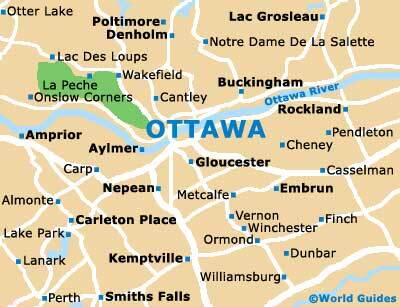 Please help us expand this section of our Ottawa World Guide. Let us know what you think about the attractions in Ottawa, Ontario (ON) Canada. Submit comments about Ottawa attractions here. You simply must go to the Canadian Museum of Civilisation. It is just not what you expect, right from the moment that you arrive. The exterior is curvy and modern, and insude you can enjoy some good views of the Parliament Building and also the Ottawa River. There were a lot of totem poles and various galleries, as well as section on Canadian history and a separate museum for children. I enjoyed watching a film at the IMAX / Cineplus cinema, although this was an extra charge. The Ottawa International Air Show takes place each year at the very end of June, at Carp Airport. This is on the western side of the city and the best place to park is at the Palladium. The air show lasts just two days and is a major event, with lots of flying displays, parking planes and some old bombers. Look out for the displays by the very impressive Canadian Snow Birds, which drew quite a crowd. There are lots of food stalls, although we chose to take our own and have a kind of picnic. It was a very hot day, so I'd recommend a sun hat and plenty to drink. Please note that these Ottawa, Ontario (ON), Canada comments and reviews are posted by individuals and are not necessarily the views of World Guides.